Due to high demand, there may be a slight delay in your product shipment. 2-day shipping requests will not be honored. Get accurate directions to wherever you travel including new roads, new sub-divisions, and current addresses. . New and expanded coverage in hundreds of cities, counties and metropolitan areas across the United States, Canada and Mexico. You can confidently drive through unfamiliar or recently changed areas. This latest edition provides updated Points of Interest to help you find the way to where you want to go quickly and efficiently. Please note: This is a non-refundable map update product. Once opened, it cannot be returned. Please note this USB will be created specifically for your vehicle and cannot be used for any other vehicle. In order to customize your USB product, you will be required to provide your vehicle's VIN. Accuracy is very important when entering your VIN, the update will not work if an incorrect VIN is provided. 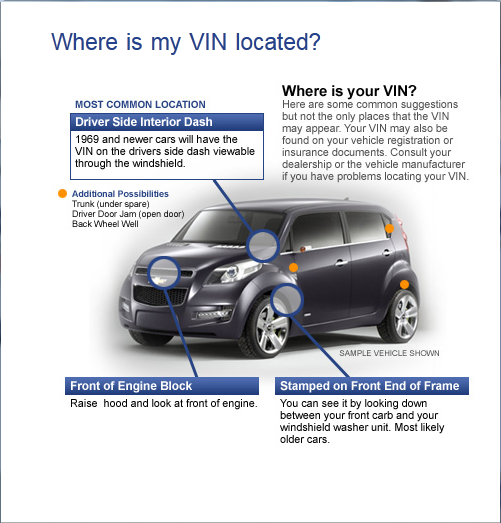 For instructions on where to locate your vehicle's VIN, please click here.